Police said a woman pursued two women from East Ridge to North Chattanooga, almost causing multiple wrecks, then ran into them head-on. Kedrick Zamar Varnell, 26, is facing multiple charges. They include two counts of aggravated kidnapping, two counts of aggravated assault and leaving the scene of an accident. In the incident last Thursday, the girlfriend of Varnell said she had been working overtime when he called her and demanded that she leave work to be with him. She said she did leave work and went with him to their home in East Ridge. However, she said she called her father and asked him to pick her up because she wanted to get away from Varnell. Her father sent his girlfriend to get her. The girlfriend said when she was trying to get into the car that Varnell grabbed her around the neck. She said he tore a necklace that she was wearing and broke bluetooth headphones she had on. The women said Varnell at first blocked their car in. They said when they were able to get around him that he began following them. The pursuit ended at Spears and Bell avenues, where they said their vehicle was struck. 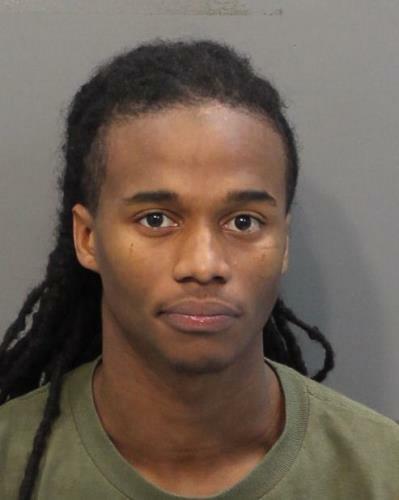 The women said Varnell got out of his car and began banging on their car and yelling at them. They said Varnell left when he heard police sirens.